Born Bernie Schwartz, working class Bronx kid. For all his fame and popularity, an underrated actor. And, by all accounts, a decent human being. The New York Times obit is here. As ‘Shell Oil Jnr’, wooing Marilyn a la Cary Grant. An atypically serious role, with Sidney Poitier. What is new about Ed Miliband’s Labour? That New Labour would be shaken up by electoral defeat, and that defeat would allow “old Labour” and trade-union discontent with what Blair and Brown had done to the Labour Party to emerge, has been obvious for a long time. That the shake-up would within four months of the general election and New Labour’s defeat produce the transformations expressed in the election of Ed Miliband – the trade unions’ candidate – as leader of the party, and in his speech to conference on Tuesday 28 September, is nevertheless startling. The speed, scope, and (in a limited sense) completeness of the change is startling. Although the press has not reported this, and as we write even the delegates have not been formally told the result of the card vote, we understand that the conference voted, on trade-union initiative, to restore to unions and local Labour Parties the right to send (a limited number of) motions to annual conference. This reverses the decision of 2007 conference to end completely the old practice of having conference act as a forum and parliament of the labour movement, and to turn it into a rally instead. That 2007 decision had been a sealing-off and completion of the rule changes introduced in 1997 that destroyed the structures that had allowed the rank and file and the affiliated unions to function – however inadequately – in politics. The reversal of the 2007 decision (again, assuming the report is true) can be made the beginning of a reconstruction of the Labour Party, and its reclaimation by the trade unions and Labour Party members. Now That’s What I Call Sibling Rivalry! “…(T)he Labour Party will not be transformed into a party seriously concerned with socialist change. Its leaders may have to respond with radical-sounding noises to the pressures and demands of their activists. Even so, they will see to it that the Labour Party remains, in practice, what it has always been – a party of modest social reform in a capitalist system within whose confines it is ever more firmly and by now irrevocably rooted. That system badly needs such a party, since it plays a major role in in the mangement of discontent and helps to keep it within safe bounds; and the fact that the Labour Party proclaims itself at least once every five years but much more often as well to be commited not merely to the modest amelioration of capitalist society but to its wholesale transformation, to a just social order, to a classless society, to a new Britain, and whatever not, does not make it less but more useful in the preservation of the existing social order. (The excerpt above is from the Postscript to the second edition, April 1972). …or was it ‘Harlem Fuss’? 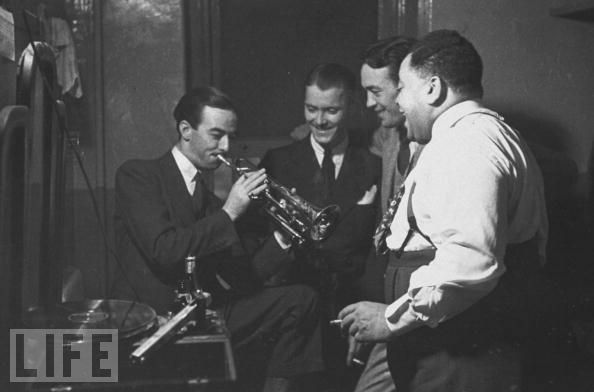 Above: Waller on the right, and Condon (second from left). “We stopped at the Riverside Towers and I got my banjo. At ten minutes before twelve we walked into the Leiderkranz Hall at Fifty-eighth Street and Lexington Avenue. Mr Adams (boss of the Southern Music Company – JD) was waiting for us. “…When we finished Mr Adams came of of the control-room. He didn’t say anything. We listened to the playback. “I had a difficult time believing what I heard because it sounded wonderful. I looked at Mr Adams. He was smiling. “‘It’s just a little blues in a major key,’ he said. “We made it. When the master was cut Mr Adams was delighted. Quiz question: what was racially/socially ground-breaking about Fats Waller’s “Harlem Fuss/ Minor Drag” 1929 recording session? Prize: any Eddie Condon or Fats Waller CD you wish copied from my collection and posted to you free of charge. PS: Stroppy remembers Jimmy Hendrix – like Waller a short-lived, wayward musical genius – 40 years on. Labour leadership: Ed by a whisker? …I should be at work today but I am dosing myself up with antibiotics and paracetamol in a bid to ward off a disgusting lurgy which came from nowhere to knock me for six. Bugs or no bugs, I will be in Manchester tomorrow for Labour Party Conference and I plan to be in the conference hall when the announcement is made re next Leader. Not because I am a gung-ho supporter of either Miliband, but because it is an Occasion and one which should be very interesting. A journalist is never off duty…..
Reading between the lines in today’s papers, it is clear that the David Miliband camp is already briefing for defeat. Mandelson’s poisonous interventions at the weekend probably put the last nail in the coffin. But even had he stayed quiet there is no mood in the Labour Party for Blairism Mark Two. 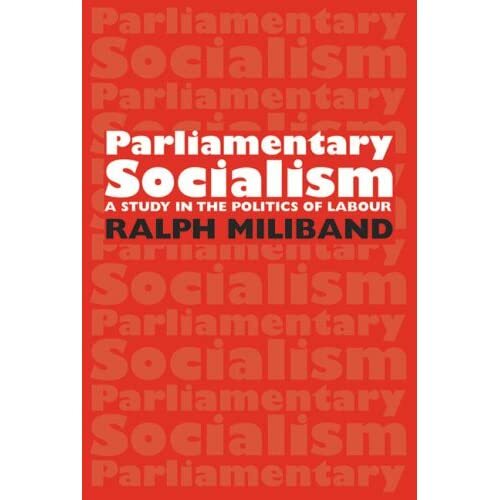 Ed Miliband represents a strand of social democracy which is firnly in the centre. Under Blair, we moved so sharply to the right it can be painted as far more radical than it is. 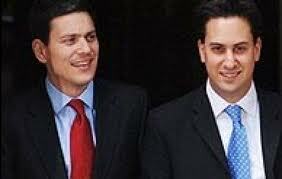 However, I have long said it was a key task to stop David Miliband and see off the Mandelson Campbell cabal . I cannot for the life of me fathom what the likes of Dennis Skinner were doing when they endorsed him.Cruddas, showing his increasing disengagement from the grassroots, also chose the wrong horse. 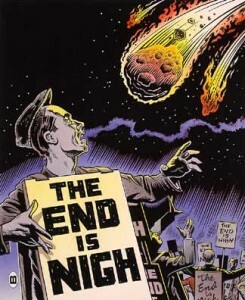 Could be of course I am utterly wrong and the elder Miliband will storm to victory. 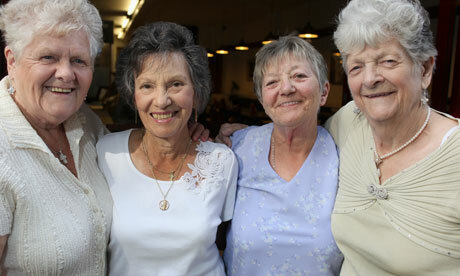 But somehow I doubt it…..
Dagenham: the film may be crap, but these women were (and are) heroes! Eileen Pullan, Gwen Davis, Sheila Douglass and Vera Sime: heroes of the Dagenham sewing machinists’ strike (see the Graun‘s story). Top: the 1968 strike vote. Trade unionism has not been portrayed well by film and TV over the years. By far the best two films involving trade unionism, I’m All Right Jack (a British comedy from 1959) and On The Waterfront (a US melodrama from 1954) are both determinedly anti-union. More typical are weak British comedies like Carry on At Your Convenience (don’t ask), and the 1960’s TV sitcom The Rag Trade. By all accounts, Made In Dagenham, which goes on general release in November, is more in the tradition of The Rag Trade than of On The Waterfront. If we’re lucky (and the less than enthusiastic advance reviews prove wrong) we may get something approaching the hilarious brilliance of I’m All Right Jack. But I’m not hopeful: Made In Dagenham is by the same people who did the “feel-good” Calender Girls.